Change is a constant in life. We meet new people. We get jobs. New things are invented. We have children. We buy new things. We go on vacation. These are basic changes that deal with our personal life. We can handle this change because we are bringing it on ourselves. We choose to do these things based on our desires that motivate us to do it. But there are things that are less personal related to us as individuals, and more universally related to the collective of society or the world. There are things that need to change. Some of them we’re aware of, and some not. When we become aware of them, we want things to change. 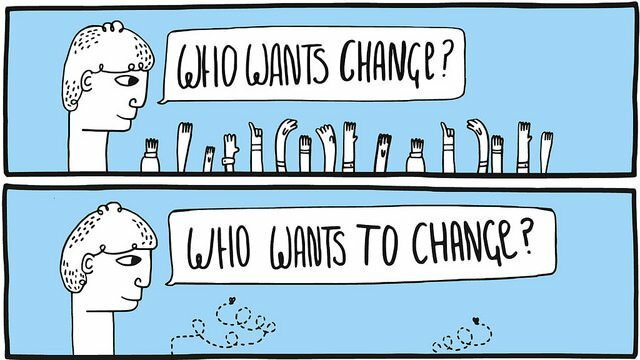 But, are we willing to do the work to make things change? A lot of times it means we have to change things ourselves, and start with ourselves changing first. This is often unwelcome. We just want things to change without doing the work on ourselves that is often required. 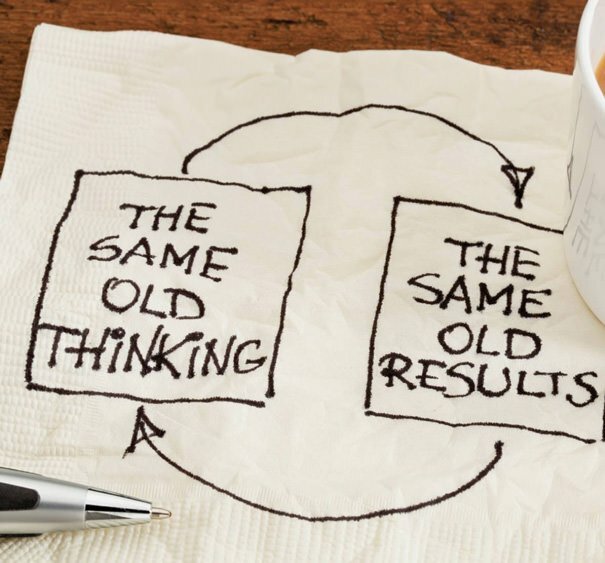 SourceOne of the first places that needs to change is our thinking. If we want different results, different effects being created, then we need to change the causal source that creates that effect, and this is to change our way of thinking. If we keep thinking the same way, we will get the same results, over and over because we don’t even know how to produce a different outcome. We will just keep doing things the same way because we’re not thinking of how to produce different results. SourceThe inner world needs to change before the outer world. 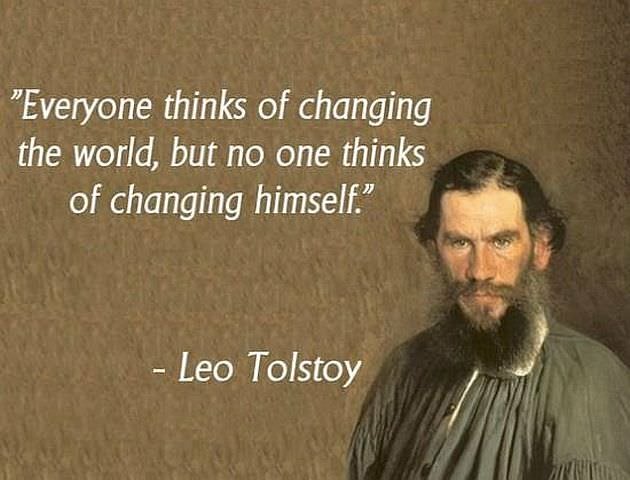 If you want change, what are you willing to change about yourself to be a template mirror image to reflect onto the world? It starts with you. Stop being the brick that prevents change. This requires that we face ourselves more honestly, and learn how we function (psychology) and learn how the world is functioning as a result of our individual and collective behavior. SourceOnce we understand something needs to change, we often can’t do it ourselves. But that doesn’t mean we can’t do anything. In order for all of us to change and be on the same path, we need to share what we know. This requires sharing info. The idea needs to spread, and using words is how we can influence others. Words are magical in that they can introduce or summon ideas into someone’s consciousness where that idea didn’t previously exist. SourceBut when giving people information, getting them to accept or understand can be a challenge in itself. 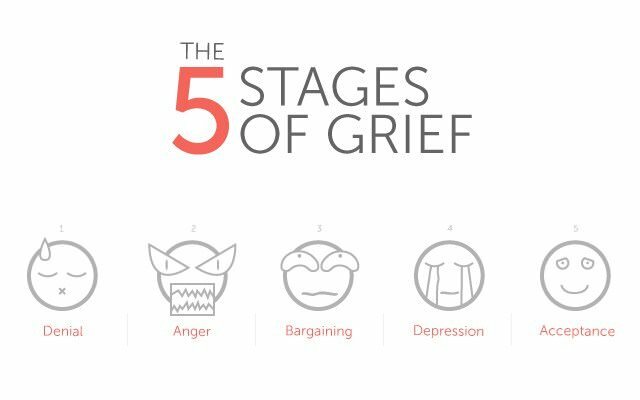 The process of change has similarities to the stages of grief. SourceWe can move from the old condition to a new condition. Most everything can change. We don’t need to be stuck with how things are. Things can get better, whether it’s in our individual lives or all our lives together. We can empower ourselves to want to change by facing the need to change honestly, by changing our way of thinking to see the need for change. If we don’t want to see a problem, or how something can be better, then there is no chance in changing anything. Seeing ourselves and world with clarity is required. When we have something that benefits us, we often don’t want to change the condition, because we benefit from it ourselves. This can make us ignore how a condition is not working out for everyone involved. Sometime we need to step out of our subjective attachment to ourselves, our personal lives, our personal desires and whims, and look at ourselves and others together to see the better path forward. This is to look at things more objectively, where we aren’t blinding to the bigger picture due to be being too attached and blinded by our ego-centrism or self-concern for ourselves while ignoring what’s happening around us. Change is often hard when it requires us to change or give up something we are attached to, comfortable with having, or think we’re entitled to. But it’s usually worth it when looking at the long term result and benefits that everyone can have.